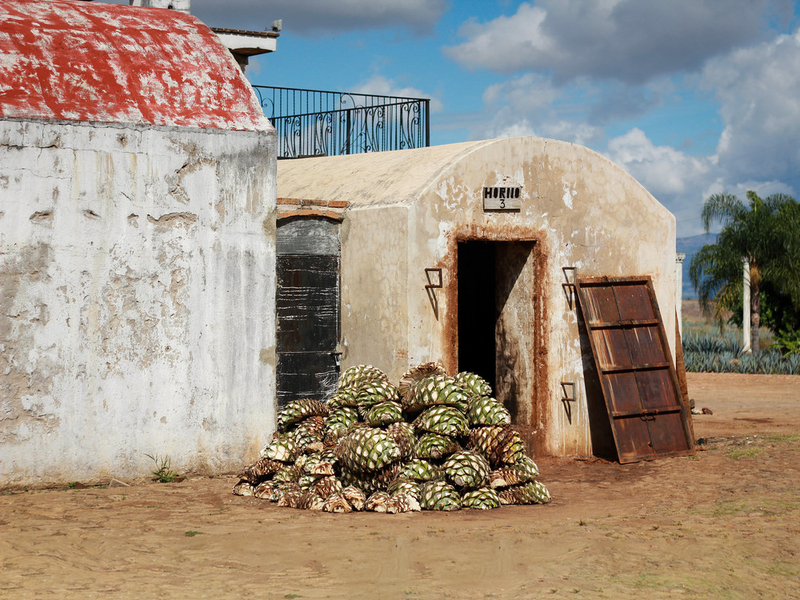 Explore and experience Mexico’s premium tequilas and mezcals. This is tequila but not as you know it! Our mission is to bring you only the best sipping tequila and mezcal which is exclusively produced using traditional methods. We respect the ancient processes of tequila and mezcal making, as they were back in the 16th century, and for good reason. Unlike other spirit distributors, we focus solely on premium sipping tequila and mezcal. This allows us to maintain close relationships with our overseas partners in order to gain access to rare bottles and provide them to our Australian customers at the lowest possible prices. Tequila is now more than just a punch line and the way people enjoy this spirit is fast evolving. “I think people have changed the way they enjoy Tequila. More consumers sip and enjoy 100 percent agave tequila brands,” says Jacques Bezuidenhout, bartender ambassador for Partida tequila. Tourism to Mexico has steadily increased over the past 10 years from a low of 500, 000 in 2009 to a high of over 2.5 million in December 2017. This has meant more people have experienced high quality artisan tequila, which is not readily available outside of Mexico. A little-known secret is that not all tequilas are made equal. Many of the brands, available from the local bottle shop, manufacture their batches using ultra modern techniques that enable them to mass produce by increasing efficiency and maximising yield. They use under-matured Agave, additives and adapted processes. The result is a lower quality product that is best left unopened. In contrast, a premium blanco, reposado, añejo (aged) or extra añejo (ultra aged) is smooth and mellow. It is full of aroma and embodies complex flavours. Sipping tequila is best enjoyed slowly, either neat or over ice. Owing to the explosion in tourism, this new-found knowledge and appreciation for high quality tequila has driven up demand, particularly in Europe and the United States. Australia is following suit. There are reports that unprecedented demand is causing shortages in Agave production that may last until 2021. We stock 4 types of premium tequilas. Blanco, Reposado, añejo and extra añejo. We also range premium mezcal from the most respected distillers. What Is Artisanal Tequila And Mezcal? In short, artisanal tequila and mezcal are those varieties that are made using traditional methods. The process used has not been adversely altered in an endeavour to mass produce. Most importantly, it adheres to the strict code set out by the Consejo Regulador del Tequila (CRT) and Conejo Regulador del Mezcal (CRM) and contains no additives. Artisanal methods yield a tequila with a significant taste difference to your mass produced varieties. Think "screw up your nose harsh" shooters Vs "full bodied, rich aroma and smooth" variety. It’s clear why the latter has adopted the name sipping tequila / mezcal. How Does Tequila And Mezcal Differ? Whilst there is still much confusion between these two Mexican staples, there is in fact quite significant differences that set them apart. Tequila can only be produced in declared regions of Mexico which include the state of Jalisco and in small parts of four other states. Mezcal is made around the city of Oaxaca. According to official regulations, it can also be produced as "Mezcal" in other areas such as the states of Guerrero, Durango, San Luis Potosi and Zacatecas. Tequila and mezcal are both made with the piñas of the Agave plant, however tequila can only be produced with the Agave Tequilana or Blue Weber Agave. Mezcal on the other hand can be made from up to 28 varieties of Agave, including a blend to produce a distinct taste. When making tequila the Agave piñas are steamed in above ground ovens where the starches become sugars suitable for fermentation. 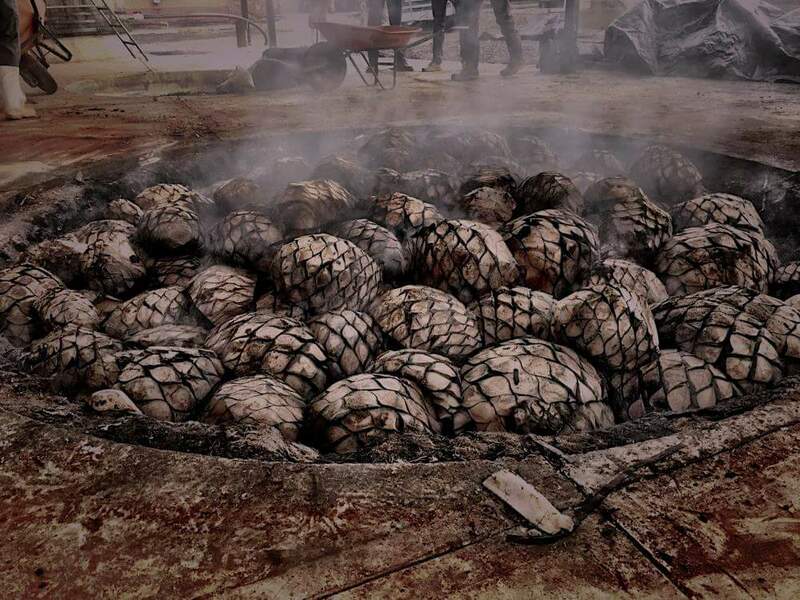 Agave’s destined for mezcal are cooked, or rather smoked, using in-ground pits with locally harvested wood. These differences drive a notable distinction between the taste and aroma of tequila and mezcal. Mezcal tends to have a unique, smoky flavour. It can also harbour a richer and more complex profile than tequila. For tequila to be considered a Blanco, it is required to be distilled a minimum of 2 times before bottling. Blanco is unaged and represents the most authentic agave aroma and flavour profile. Be sure to choose a quality 100% agave Blanco to experience the best tequila has to offer. Blanco tequila will present delicious notes including fresh citrus fruits and herbaceous greenery. In tequila making, reposado is the first type that is considered rested or aged. The tequila can be aged in wood barrels or storage tanks for a period 2 - 11 months. The spirit starts to take on a light golden hue and the taste becomes a delicate balance between the agave and wood flavours. Reposado tequila is a great choice that looks after both your hip pocket and palate. A step up in aging leads us to the añejo. Official regulation states that the spirit must be aged for at least one year in barrels no larger than 600 litres before being classed as "añejo". The colour now becomes a beautiful amber and the palate smoother, richer, and more complex. Añejo tequila is an excellent choice to enjoy neat on regular occasions and makes a great gift. Relatively new to the classification of tequila. Extra añejo is considered ultra-aged at a minimum of 3 years (max barrel capacity 600 litres). After such a period, the spirit is now much darker, almost a mahogany colour. This drop is extremely smooth and the flavour irresistibly delicious. Extra añejo tequila becomes hard to distinguish between other top shelf spirits. Enjoy neat.